Our goal is to help your business achieve success by providing timely, accurate, and efficient services. Our services run the gamut from paperless payroll to full accounting tasks outsourcing. You submit bank statements, credit card statements, payroll, bills, sales, or any other applicable information. We prepare, calculate and upload your information back to your secure portal. It's that easy. All of our clients will have access to a secure, cloud-based portal, which we use to quickly transfer information. Unlike emails, your data in the portal is secured by encryption technology. You can access information in the portal from your phone, tablet or computer at any time. If you opt for QuickBooks Online, you will have 24/7 access to your real-time information, from your computer or smart device. QBO provides many advantages over other software, including automatic invoicing for recurring bills, automatic version updating, cloud storage (meaning no backups have to be run), bank-level security encryption, and a clear snapshot of your business activity. BCS Accounting can offer a software discount to our clients who switch to QBO. A time-consuming task, payroll can be outsourced to us and save you employee labor. We stay up to date on payroll laws and requirements to keep you in compliance. We offer these services over the cloud, so that you save distribution time and your employees have internet access to all pay stubs and W-2s. By outsourcing your bookkeeping function to BCS Accounting, this critical work will be done by professionals who will provide you with the attention and support you require in today's fast-paced business environment. You upload financial information, and we will handle your daily accounting needs. Do you need help filling out your personal property reports, contractor's license or another form? Because we are a full-service accounting firm, we will be happy to assist you. Our staff is certified in training and supporting our clients on many versions of software, including QuickBooks, QuickBooks Online, Peachtree and Creative Solutions Accounting. We can help you choose a software that will best fit your needs, or help you if you have questions about using these softwares. We also have an IT Department that can install these programs for you. 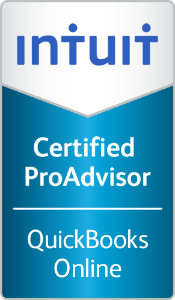 We have several Certified QuickBooks ProAdvisors on staff, and if you or your accounting staff is new to QuickBooks (either desktop or Online versions), you may want to consider a training session with us. These sessions are tailored to fit your specific situation. Because BCS Accounting is a part of Blackburn, Childers & Steagall, CPAs, we work closely with the BCS Tax Department in preparation and planning of business and individual tax returns.